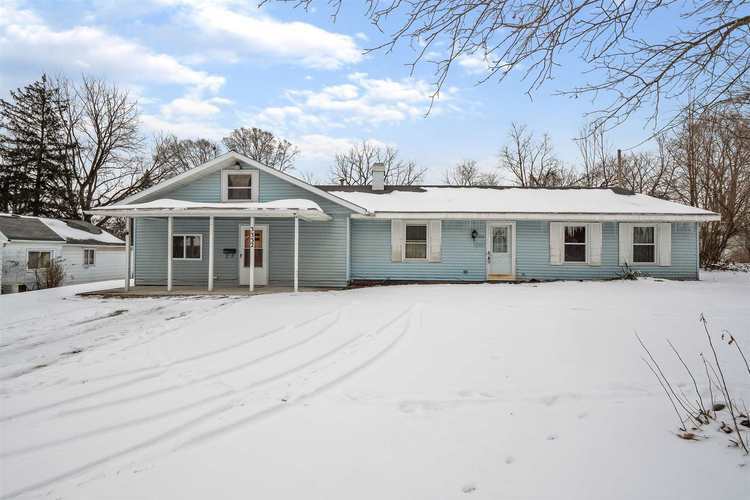 Sprawling, split bedroom ranch on an oversized lot. You can't beat this amount of square footage for the price - 2568sqft to be exact! This home features a large living room with space for dining, plus TWO additional living areas. The functional, eat-in kitchen is the hub of the home and includes all appliances. 4 bedrooms, 2.5 baths, and a large laundry/mud room complete this floor plan. Updates include NEW ROOF, 2 new furnaces, and newer windows. The house is within walking distance to the Johnny Appleseed Park, IPFW, River Greenway walking and bike trails, schools, shopping and much more. This is an estate sale. Home being sold as-is. Directions:Take 930 East to Parnell Ave. Left onto St. Joe River Dr. Right onto Addison Ave. House is on the left.